Become a Karen Pryor Academy Certified Training Partner! In 2014, Linda was delighted to be made a faculty member at the world-leading Karen Pryor Academy for Animal Training & Behaviour. Linda is an experienced educator & is passionate about providing the highest quality & most up-to-date teaching to the next generation of training professionals. She is excited offer the Karen Pryor Academy's flagship Dog Trainer Program in the heart of the beautiful New Forest National Park, & in selected UK & European locations! 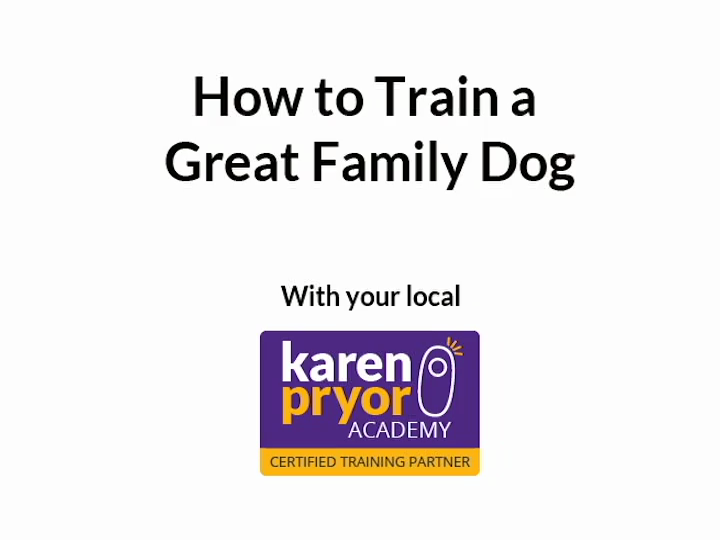 "The Karen Pryor Academy (KPA) Dog Trainer Professional program takes an innovative approach to developing and supporting outstanding positive reinforcement trainers who teach the general public. Our 9-month course combines online learning with hands-on teaching from some of the most experienced teachers in the field. Graduates become part of a community of trainers who demonstrate a consistent level of excellence and represent themselves and the Karen Pryor Academy name proudly. Educational. Take your teaching and training skills to the next level. Real. Learn hands-on from our accomplished faculty in 4 two-day workshops. Convenient. Study at your convenience online. Collegial. Join a network of positive reinforcement trainers. Smart. Accelerate your career with our unparalleled marketing support. Rewarding. Earn CEUs from IAABC and CCPDT. Karen Pryor Academy is a member of the Animal Behaviour & Training Council. ABTC accreditation means that as part of KPA, which has been rigorously assessed for membership, our UK graduates have demonstrated & pledged to uphold high levels of ethical, professional standards, as well as being outstanding teachers & trainers. Being a KPA graduate, & being listed on the ABTC’s Animal Training Instructor listing, serves to assure both the pet-owning public, as well as fellow professionals & the veterinary community, of our graduates' commitment to ethical interactions with animals & people, as well as maintaining the highest of standard of training, showing a positive & proactive commitment towards self-regulation & exemplary professional standards. We are excited to teach the next generation of professional trainers!